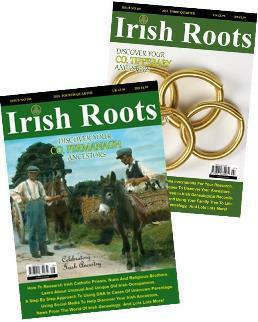 Irish Roots, Ireland's long-established and only independent family history magazine, is getting in the Black Friday groove with a generous half price discount. You'll find all the products in the sale here, each displaying its regular price (you can adjust the currency at the top right of the page). Click through to the checkout and you'll see the 50% discount applied. Don't delay. These offers don't come along very often. The discount will expire on Monday 26 November.